Last update: 25/09/2018, Dr. Miguel B. Royo Salvador, Medical Board number 10389. Neurosurgeon y Neurologist. What is the Filum Disease? The Filum Disease includes conventional diseases such as: Arnold-Chiari Syndrome Type I, Idiopathic Syringomyelia y Idiopathic Scoliosis, Platybasia, Basilar Invagination, Odontoid Retroflexion, Brainstem Kinking, and it may have a bearing in the appearance of Disc Disease (disc protrusions and herniations), Spinal Stenosis, Nocturnal Enuresis and others. The Filum Disease becomes manifest mainly with symptoms of the nervous system, the skull and the spine, such as: headaches, nausea, vomiting, dysphagia, vertigo, memory deterioration, neck pain, upper back pain, lower back pain, paraesthesias, sensitivity alterations, pain in the extremities, balance alterations, insomnia, lack of strength in the extremities, amongst many others. According to our research, the Filum Disease is a consequence of the traction exerted by a filum terminale that is tenser than normal of the whole nervous system: spinal cord, brainstem, cerebellum and brain. The Filum Disease is an apparently hereditary condition, affecting one in every five individuals. Following a detailed diagnostic assessment and the latter application of the minimally invasive surgical sectioning of the filum terminale, the cause for the disease is eliminated, which on top of eliminating the disease’s cause and halting its progression does not have any harmful collateral effect with excellent results and without relevant complications. Our Institut Chiari & Siringomielia & Escoliosis de Barcelona (ICSEB) has developed the health method Filum System®, based in its research that allows for an unerring diagnosis of the Filum Disease and its many consequences with an appropriate treatment by means of minimally invasive techniques. This makes the recovery of reversible injuries of the nervous system possible and in some cases to obtain positive anatomical changes (disappearance of the Syringomyelia, ascent of the cerebellar tonsils, straightening of the spine and decrease of the disc disease). We have been studying the Filum Disease since 1975 and we are at the front line as the ICSEB is the only centre worldwide where other than being always busy with research, we diagnose according to and apply the Filum System® method, the only method described for the study of development of the Filum Disease that helps the nervous system with the recovery of the injuries produced by the condition. Would you like to know if you could be affected by the Filum Disease? Take the test for a free diagnostic orientation. Diseases and definitions involved in the “Neuro-Cranio-Vertebral Syndrome” and the “Filum Disease”. The document presented here is an extract of one of the central chapters of my more extensive work about the Filum System® Surgery method. We will be able to share the launch of the book with you soon. Possibly some readers may wonder why we have decided to draft this supplement or short “users’ guide”. It frequently occurs that the “Filum Disease” (having been clearly defined) is mistaken for some other conditions that are located in similar areas and have similar mechanisms of action. In this section, we cite the these conditions (some of them are part of the “Filum Disease”) and the new concepts of the Neuro-Cranio-Vertebral Syndrome (NCV.S), the Filum Disease (FD) and the FILUM SYSTEM® (FS®). As you will see, it is not he first time that we mention these terms, and even though we are addressing a well informed audience, they can easily get confused between the symptoms, pathology and the concepts of the disease. But there is no reason to worry, as these mistakes can be committed by some colleagues and neuroscience professionals. 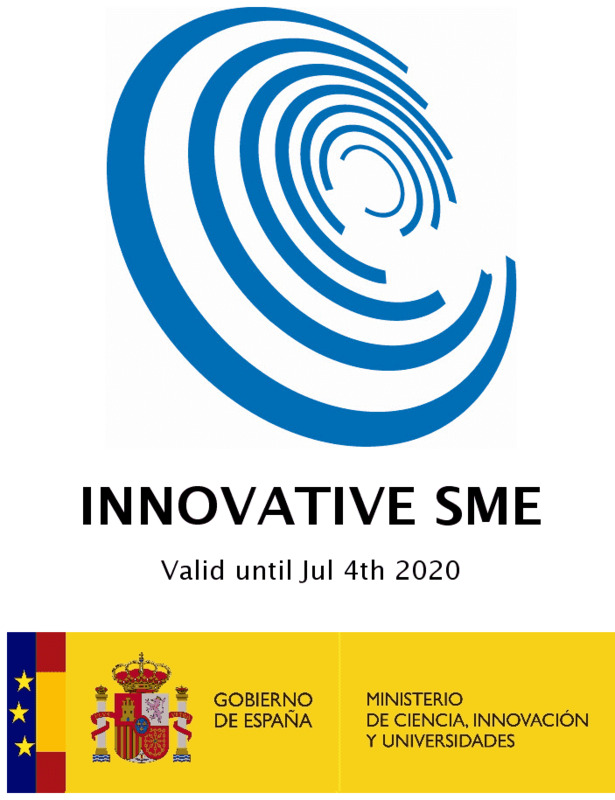 Everything you can read here has been duly presented to society and comes endorsed by the groundbreaking work carried out at the Autonomous University of Barcelona that condensed in a doctoral thesis and successive scientific publications. The task of writing is like traveling with a silent companion, but a scientist should never give it up; we hope that the following document will be helpful in getting familiar with this concept of new disease. The clearly defined Filum Disease can frequently be confused with a few other conditions located in similar areas and with similar action mechanisms. In this section, we present these conditions (some of them are part of the Filum Disease) as well as the new concepts of the Neuro-Cranio-Vertebral Syndrome (NCV.S), the Filum Disease (FD) and the FILUM SYSTEM® (FS®). Definitions, nomenclature and concept description, terms and diseases that will be mentioned continuously. The definition, date of description and naming of the Filum Disease (FD) and the Neuro-Cranio-Vertebral Syndrome (NCV.S) are especially relevant, as well as the previously described entity of the so-called Cord-Traction Syndrome (CTS) or Filum Terminale Syndrome (FT.S) or Tight Filum Terminale Syndrome, which they can easily be mistaken for. The Filum Disease can also get mixed up with two other similar conditions, as are the “Tethered Cord Syndrome” and the “Tethered Spinal Cord”. In order to make the differentiation easier, we here below describe the concept and all the diseases related to the FS®. Those listed in italics are the ones that the Filum Disease can get easily mistaken for. The Cord-traction Syndrome / The Filum Terminale Syndrome / Tight Filum Terminale Syndrome. Related diseases: 7. Related conditions: Platybasia, Basilar Impression, Odontoid Retrocession, Angulation of the brain stem. Definition: The Tethered Cord Syndrome is associated with a neurovertebral malformation such as spina bifida and myelomelingocele, that expresses itself externally (predominantly in the lumbar region) and that fixes the spinal cord, causing mechanical damage due to traction to the entire nervous system, the skull and the spine, including specific injury, such as the descent of the cerebellar tonsils, scoliosis and syringomyelia. Figure 1.- Myelomeningocele in a foetus where the spinal cord (yellow) is already exerting significant traction on the encephalon, creating a descent of the cerebellar tonsils. Figure 2.- Fragment taken from the book “Tethered Cord Syndrome”. Shokei Yamada. American Association of Neurological Surgeons Publications Commitee”. 1996. Corresponds to the introduction of the book’s first chapter, where the existence of a debate of the other pathological descriptions is expressed. Definition: The Tethered Spinal Cord is associated with a neurovertebral malformation, spina bifida and myelomelingocele not visible externally, predominantly in the lumbar region, that fixes the spinal cord and causes mechanical injuries due to traction, predominantly spinal cord and vertebral injuries, and requires additional testing to be made visible and to be diagnosed, such as MRI or CT scans. The syndrome can manifest itself with a descent of the cerebellar tonsils, scoliosis and syringomyelia. 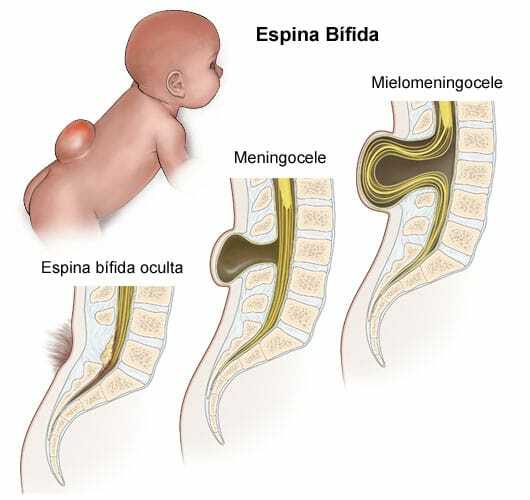 Described by: Hoffman HJ (1932-2004) in 1976, a neurosurgeon from Toronto, who defined the Tethered Spinal Cord as a syndrome consisting of the same clinical signs and symptoms as a Tethered Cord Syndrome but associated with an existing spina bifida occulta. Figure 3.- Case of occult tethered cord, from left to right: lumbosacral X-ray bony spina bifida from L4 up to sacral hiatus, diagram and surgery photo of lumbosacral meningocele; only visible on imaging. 3. The Cord-traction Syndrome/The Filum Terminale Syndrome/Tight Filum Terminale Syndrome. Definition: This is a clinical syndrome associating symptoms and clinical signs of neurological alterations in the nervous system, predominantly related with the lower spine, and also with possible symptoms of Scoliosis and the Arnold-Chiari syndrome as a consequence of a tight filum terminale, while no other apparent malformation of the nervous system, including the filum terminale, is observed. Described by: McKenzie, a neurosurgeon from Toronto. He was the first author who associated the appearance of paraplegia, Scoliosis and the tight filum terminale in his publication: McKenzie KG, Deward FP: “Scoliosis with paraplegia.” J Bone Joint Surg (Br) 31:162-174, 1949). 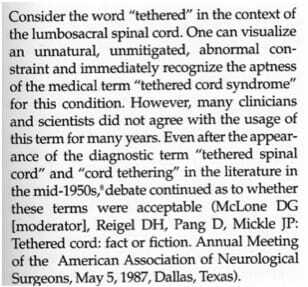 Garceau, a North American orthopaedic surgeon, was the first person to name it as the Cord-traction Syndrome, in 1953, and he differentiated it from the classical “tethered cord”, as observed in his publication Garceau GJ; The filum terminale syndrome. (The cord-traction syndrome). J Bone Joint Surg (Am) 35:711-716, 1953. 1. Subtle imaging findings in a case of tight filum terminale syndrome. Yeung JT, Lee CM, Fong JC. Hong Kong Med J. 2012 Jun;18(3):258-9. 2. Outcome, reoperation, and complications in 99 consecutive children operated for tight or fatty filum. Ostling LR, Bierbrauer KS, Kuntz C 4th. World Neurosurg. 2012 Jan;77(1):187-91. doi: 10.1016/j.wneu.2011.05.017. Epub 2011 Nov 19. 3. Improved symptoms and lifestyle more than 20 years after untethering surgery for primary tethered cord syndrome. Fukui J, Ohotsuka K, Asagai Y. Neurourol Urodyn. 2011 Sep;30(7):1333-7. PubMed PMID: 21626535. 4. Introductory comment: Childhood tight filum syndrome. Van Calenbergh F. Eur J Paediatr Neurol. 2012 Mar;16(2):101-2. doi: 10.1016/j.ejpn.2011.07.017. Epub 2011 Aug 31. 5. Clinical characteristics and surgical outcome in 25 cases of childhood tight filum syndrome. Cornips EM, Vereijken IM, Beuls EA, Weber JW, Soudant DL, van Rhijn LW, Callewaert PR, Vles JS. Eur J Paediatr Neurol. 2012 Mar;16(2):103-17. doi: 10.1016/j.ejpn.2011.07.002. Epub 2011 Aug 11. 6. [Congenital anomalies in the central nervous system (6) occult spinal dysraphism (other than spinal lipoma): congenital dermal sinus, tight filum terminale, neurenteric cyst, split cord malformation, and caudal regression syndrome]. Shigeta H. No Shinkei Geka. 2011 May;39(5):513-27. 7. Preoperative predictors for improvement after surgical untethering in occult tight filum terminale syndrome. Fabiano AJ, Khan MF, Rozzelle CJ, Li V. Pediatr Neurosurg. 2009;45(4):256-61. doi: 10.1159/000228983. Epub 2009 Jul 17. 8. Association of Chiari malformation type I and tethered cord syndrome: preliminary results of sectioning filum terminale. Milhorat TH, Bolognese PA, Nishikawa M, Francomano CA, McDonnell NB, Roonprapunt C, Kula RW. Surg Neurol. 2009 Jul;72(1):20-35. doi: 10.1016/j.surneu.2009.03.008. Erratum in: Surg Neurol. 2009 Nov;72(5):556. 9. Tight filum terminale syndrome in children: analysis based on positioning of the conus and absence or presence of lumbosacral lipoma. Bao N, Chen ZH, Gu S, Chen QM, Jin HM, Shi CR. Childs Nerv Syst. 2007 Oct;23(10):1129-34. Epub 2007 Jun 6. 10. 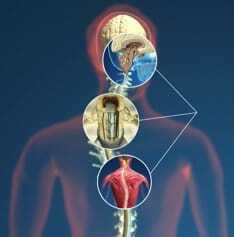 A novel minimally invasive technique for spinal cord untethering. Tredway TL, Musleh W, Christie SD, Khavkin Y, Fessler RG, Curry DJ. 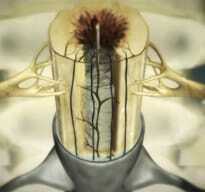 Neurosurgery. 2007 Feb;60(2 Suppl 1):ONS70-4; discussion ONS74. 11. Miller-Dieker syndrome associated with tight filum terminale. Chen SJ, Peng SS, Kuo MF, Lee WT, Liang JS. Pediatr Neurol. 2006 Mar;34(3):228-30. 12. Occult tight filum terminale syndrome: results of surgical untethering. Albright AL. Pediatr Neurosurg. 2005 Jan-Feb;41(1):58; author reply 59-60. 13. Occult tight filum terminale syndrome: results of surgical untethering. Wehby MC, O’Hollaren PS, Abtin K, Hume JL, Richards BJ. Pediatr Neurosurg. 2004 Mar-Apr;40(2):51-7; discussion 58. 14. Management of tight filum terminale. Komagata M, Endo K, Nishiyama M, Ikegami H, Imakiire A. Minim Invasive Neurosurg. 2004 Feb;47(1):49-53. 15. 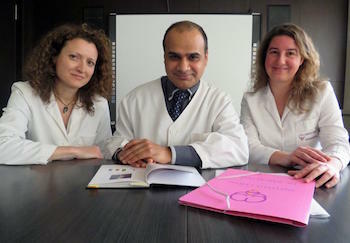 Patients with urinary incontinence often benefit from surgical detethering of tight filum terminale. Selçuki M, Unlü A, Uğur HC, Soygür T, Arikan N, Selçuki D. Childs Nerv Syst. 2000 Mar;16(3):150-4; discussion 155. 16. Management of tight filum terminale syndrome with special emphasis on normal level conus medullaris (NLCM). Selçuki M, Coşkun K. Surg Neurol. 1998 Oct;50(4):318-22; discussion 322. 17. Urodynamic evaluation of tethered cord syndrome including tight filum terminale: prolonged follow-up observation after intraspinal operation. Fukui J, Kakizaki T. Urology. 1980 Nov;16(5):539-52. 18. The so-called tight filum terminale syndrome. UIHLEIN A. Minn Med. 1959 Apr;42(4):394-8. Definition: This is a condition that is characterized by a lateral misalignment of the vertebral column. It is detected and its evolution is monitored with X-Ray images of the entire spine in frontal or anteroposterior view, which is called Scoliogram (SCG). Definition: Idiopathic Scoliosis (I.SCO) is a lateral misalignment of the spine of unknown cause. It is more frequent in females and it is observed more often in the age of growth (Hippocrates, 4th century BC). Described by: Hippocrates of Kos first described Scoliosis (SCO) in his book ”Instruments of Reduction”. Named: The name Scoliosis was given by Galeno (129-199) who created the terms Scoliosis, Kyphosis and Lordosis, in the passage from the book “The Joint” which mentions Hippocrates describing the different forms of vertebral dislocation. Figure 5.- MRI of coronal section of the spine in case of a Idiopathic Scoliosis, where the spinal canal is seen with spinal cord is curved inside the vertebral canal. It indicates the existence of a significant cord traction force. Conventional theory: imbalance of the paravertebral muscle, ligament abnormality, proprioceptive postural disorders, reaction of the spine to forces like gravity or ligamentous muscular action, innate metabolism error, neurological disorders. In the Filum System®, I.SCO is regarded to be the result of a mechanism of avoidance or compensation to the action of a spinal cord traction produced by the tense filum terminale that is not recognizable on imaging. Other idiopathic deviations of the spine share the same cause, such as kyphosis, hyperlordosis, straightening of spinal curvature, vertebral rotation and reverse vertebral curvatures; it has the biomechanical importance. When the misaligned spine in frontal or anteroposterior view is related to a known cause: tumorous, traumatic, infectious or others. Figure 6.- Exceptional case from Hamilton and Schmidt, quoted by Roth, showing the position of the spine and spinal cord out of the spinal canal, eroding laterally, in an alive patient. Described by: the anatomy surgeon John Cleland (1835-1925) from Perthshire, Scotland, in 1883. He described the elongation of the cerebellar vermis, the descent of the cerebellum and fourth ventricle in a child with hydrocephalus, encephalocele, spina bifida and myeloschisis. In 1891 and 1896 Hans Chiari contributed new cases and their classification. In 1894 Julius Arnold contributed by spreading the information. 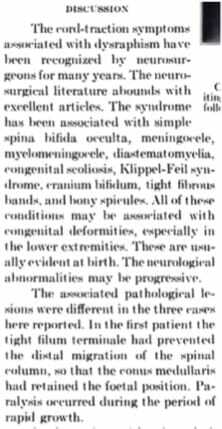 Naming: Schwalbe and Gredig, in 1907, as “malformation of Arnold-Chiari”. The current terminology is “Arnold-Chiari Syndrome” (ACHS) International Statistical Classification of Diseases and Related Health Problems, 10th Revision (c) Geneva, WHO, 1992. (Q07.0, ICD-10). Some authors refer to this disease as “Chiari Malformation”, “Chiari” or “Chiari Syndrome”. Leaving out the word “Arnold” implies ignoring the recent international rules and a erroneous step, which is intended to be avoided with the WHO nomenclature, given that there are other entities prone to confusion such as: Chiari-Fromel syndrome, Budd-Chiari syndrome, Chiari osteology. Incidence: One case in every thousand live births; other authors reveal less than one per cent of the world population. In both cases the cited numbers have very restrictive criteria, with a DCT > 3 or 5 mm. Figure 7.- Diagram showing the descent of the cerebellar tonsils and the consequent increase in supracerebellar space while the cerebellum moves into the spinal canal in the ACHS.I. Type I. DCT (Descent of the cerebellar tonsils) without any other malformation of nervous system. Type II. DCT with a neurovertebral malformation of the spine that tethers the spinal cord to the spinal canal. Type III. DCT with occipital encephalocele and brain abnormalities. Type IV. DCT with cerebellum aplasia or hypoplasia associated with aplasia of the cerebellar tentorium. Type “0”. Currently, the existence of the cases with the clinical expression of a Arnold-Chiari Syndrome Type but without a DCT is being commented. Type “1,5”. 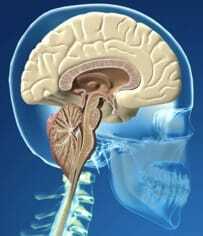 Recently SACH.1,5 has been described with a DCT and herniation of the brain stem into the foramen magnum. The descent of the cerebellar tonsils (DCT) can be produced as a result of the traction exerted on the spinal cord by malformations associated with some form of ACHS, except in ACHS.I where the DCT is the only morphological change. Different theories exist for the latter. a. Hydrodynamics: the DCT is a consequence of an anomaly in the CSF flow. b. Malformative: the theory of a small cranial fossa considers that this malformation induces the herniation of the cerebellum into the spinal canal. Considers that the descent of the cerebellar tonsils in ACHS.I as a result of abnormal traction of the spinal cord, caused by a abnormal FT, which is not detectable on the neuroimaging. ACHS.I clinical symptoms can find expression in different ways, grouped into over one hundred symptoms. The most common ones we in in our caseload are (from most to least frequent): headache, cervical pain, limb paresis, impaired vision, pain in limbs, paraesthesia, impaired sensibility, dizziness, problems in swallowing, lower back pain, impaired memory, altered gait, upper back pain, impaired balance, disaesthesia, altered speech, sphincter alterations, insomnia, vomiting, loss of consciousness, trembling. Figure 8.- MRI of a patient at the age of 8 and 20 months, where we can observe that a DCT has appeared on the second MRI. Huang P. “Acquired” Chiari I malformation. J.Neurosurg 1994. Definition: Syringomyelia (SM) is characterized by the appearance of a cystic cavity in the spinal cord accompanied by symptoms of general deterioration of the spinal cord, predominantly of temperature sensitivity. 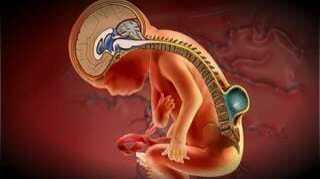 Described by: first described by Estienne in his work called “La disection du corps humain” in 1546. Named: in Paris, 1824, by the anatomist Charles Prosper Ollivier d’Angers (1796–1845), published in his work “Traité de la moelle epinière et ses maladies”. Incidence: 84 people suffer from Syringomyelia per one million inhabitants. Figure 9.- Picture illustrating the collection of interstitial fluid or serum in the centre of the spinal cord generated by the death of the tissue due to the ischemia caused by the traction from filum terminale. A. Primary or idiopathic Syringomyelia (I.SM). 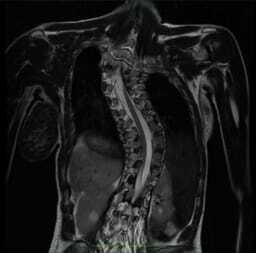 The I.SM is a syringomyelia or intramedullary cavity filled with fluid, where the reason for its formation is unknown. The most frequent symptoms among our I.SM patients, from highest to lowest, are: pain in limbs, cervical pain, changes in thermal and pain sensitivity, lower back pain, upper back pain, headaches, abnormal gait, paresis, sphincters alteration. The hydrodynamic theory considers that the syringomyelic cavity (SC) is due to an abnormality in the circulation of the Cerebrospinal Fluid (CSF). The theory of malformation considers that the cranial fossa is small and that this induces the displacement of the cerebellum into the vertebral canal, creating a hydrodynamic conflict that causes a diversion of the CSF into the spinal cord and the subsequent formation the syringomyelic cavity filled with CSF. The FS® cord traction theory: the syringomyelic cavity is the consequence of the necrosis of the intramedullary tissue, induced by an ischemia provoked by cord traction from a tensed filum terminale, which is undetectable on neuroimaging. The syringomyelia cavity is full of interstitial fluid or serum. In its evolution, the SC can fistulise into the perimedullary space or ependymal canal and a exchange of intracavitary serum with CSF can take place. B. Secondary Syringomyelia. According to the Filum System®, in secondary SM, there is an intramedullary cavity full of interstitial fluid or serum, which is associated with one of the following causes: tumour, trauma, infection or others. It is possibly because of a necrosis of the parenchyma of the spinal cord induced by the cause as it exerts an invasive effect, or compression, or traction, or by a combination of any of these three mechanisms. * Platybasia (PTB). . It is a bone abnormality that is caused by flattening the base of the skull, resulting in the opening of the basal or Boogard angle. According to the FS®, this bone deformation occurs when a malleable bone texture, due to a lack of bone maturation or disintegration of bone tissue, coexists with a deformative force, the latter being the cord traction of the Neuro-Cranio-Vertebral Syndrome. * Basilar Impression (BI). . It is an invagination of the bony contour of the foramen magnum towards the posterior fossa with a reduction of its volume, giving a dome shape to the base of the skull, as opposed to the normal shape (convexobasia). With the same mechanism as in Platybasia and according to the FS®, this bone deformation occurs when a malleable bone texture, due to a lack of bone maturation or disintegration of bone tissue, coexists with a deformative force, the latter being the cord traction of the Neuro-Cranio-Vertebral Syndrome. * Odontoid Retroflexion (OR). Odontoid Retroflexion is a malformation of the upper portion of the cervical spine and consists of backwards tilting of the odontoid apophysis that compresses and displaces the adjacent nerve structures. According to the FS®, OR is the expression of important avoidance forces which are produced by the cord traction and end up deforming the joints, muscle-ligament unions and the bone at the proximal end of the spine. * Brain Stem Kinking (BSK). Brain Stem Kinking or Angulation consists of a forward angulation between the pons and spinal cord that accompanies the PTB, BI and OR, especially in acute cases. According to the FS® it involves the adaptation of the anterior contents of the posterior fossa to a bone deformation along with the deformation induced by the cord traction of the NCV.S. * *	Other diseases with cord traction as a shared cause, such as: nocturnal enuresis, disc disease, facet joint syndrome, Baastrup syndrome, multiple discopathies, vascular cerebral insufficiency, and hormonal and neuropsychological alterations. Definition: the Neuro-Cranio-Vertebral Syndrome consists of a set of clinical manifestations, symptoms and signs that affect the entire nervous system, including the brain, brainstem, spinal cord, skull and spine as a result of abnormal traction from an apparently normal filum terminale. Spinal cord traction may be due to an undetectable congenital abnormality of the filum terminale (Filum Disease), or acquired due to a tumour, trauma or any cause that can deform the spinal canal and the mechanical relationship between the spinal canal and spinal cord-filum terminale. Rev Neurol 1996; 24: 937-959. Siringomielia, escoliosis y malformación de Arnold-Chiari idiopáticas. Etiología común. Royo Salvador M.B. Rev Neurol 1996; 24: 1241-1250. Impresión basilar, platibasia, retroceso odontoideo, kinking del tronco cerebral, etiología común con la siringomielia, escoliosis y malformación de Arnold-Chiari idiopáticas. Royo Salvador M.B. “Síndrome Neuro-Craneo-Vertebral”. IV Reunión “Chiari & Scoliosis & Syringomyelia Foundation”. 14 Octubre 2011. Palermo, Sicilia, Italia. “Síndrome Neuro-Craneo-Vertebrale cronica, acuta, subclinica. Risultati di 400 casi operati di SEZIONE DEL FILUM TERMINALE”. V Reunión “Chiari & Scoliosis & Syringomyelia Foundation”. 12 Noviembre 2011. TRIESTE, Italia. “Síndrome Neuro-Craneo-Vertebrale. Risultati di casi operati di SEZIONE DEL FILUM TERMINALE”. 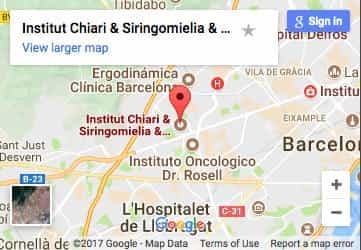 VI Reunión “Chiari & Scoliosis & Syringomyelia Foundation”. 17 Marzo 2012. ORISTANO, Italia. “El nuevo Síndrome Neuro-Cráneo-Vertebral. La enfermedad más frecuente”. Ciclo de Charlas divulgativas CIMA (Centro Internacional Medicina Avanzada). 8 Mayo 2012. Barcelona. España. Clinical picture: the Neuro-Cranio-Vertebral Syndrome can be expressed clinically in the form of one or more diseases so far understood to be idiopathic in nature, most of them were unrelated amongst each other until now and were described at different times in the History of the Medicine: Arnold-Chiari Syndrome Type I, idiopathic Syringomyelia and idiopathic Scoliosis, Basilar Impression, Odontoid Retroflexion, Brainstem Kinking, Platybasia, some alterations of the normal alignment of the spine (kyphosis, rotoescoliosis, hyperlordosis, loss of vertebral alignment, ..) some neuropsychological disorders, some small vessel cerebral vascular insufficiency syndromes, some forms of disc disease, some facet joint syndromes and nocturnal enuresis. Incidence: With the new criteria for the ACHS.I, the I.SM and the I.SCO, kyphosis, hyperlordosis, rotoscoliosis and rest of the associated pathologies, the collective incidence rate could rise up to a little more than 20% of the world population. Figure 10.- The union of the three diseases is the wide symptomatic expression in which the NCV.S can express itself. Definition: The Filum Disease cis a form of the Neuro-Cranio-Vertebral Syndrome caused by a congenital abnormality of an apparently normal filum terminale, causing a tractive force on the spinal cord and the rest of the nervous system. Named: it was presented in the conference for physicians and patients, “Filum System®”. Resultati in Sindrome d´Arnold Chiari, Siringomielia e Scoliosi idiopatiche”. VII Meeting “Chiari & Scoliosis & Syringomyelia Foundation”. 10 February 2013. BARI, Itlay. Incidence: With the new criteria for the ACHS.I, the I.SM and the I.SCO, kyphosis, hyperlordosis, rotoscoliosis and rest of the associated pathologies, and the predominance of NCV.S of congenital cause, the incidence could reach a little more than 20% of the world population. Definition: The “Filum System®” is a method that brings together fourteen protocols, (having been applied to more than 1000 patients in its 22-year history), for the treatment of “Filum Disease” and some case affected by non-congenital Neuro-Cranio-Vertebral syndrom. Named: “Filum System®” in “Resultati in Sindrome d´Arnold Chiari, Siringomielia e Scoliosi idiopatiche”. VII Meeting “Chiari & Scoliosis & Syringomyelia Foundation”. 10th February 2013. ORISTANO, Itlay. Registered: with the title of registered trademark, Trademark Nº. 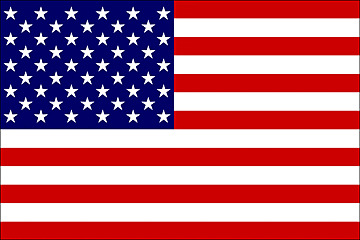 3.046.839 (National trademark) y Nº 011562725 (European trademark). Application date: 26th September 2012. Registration date: 4th February 2013. Owner of the trademark: Miguel Bautista Royo Salvador.